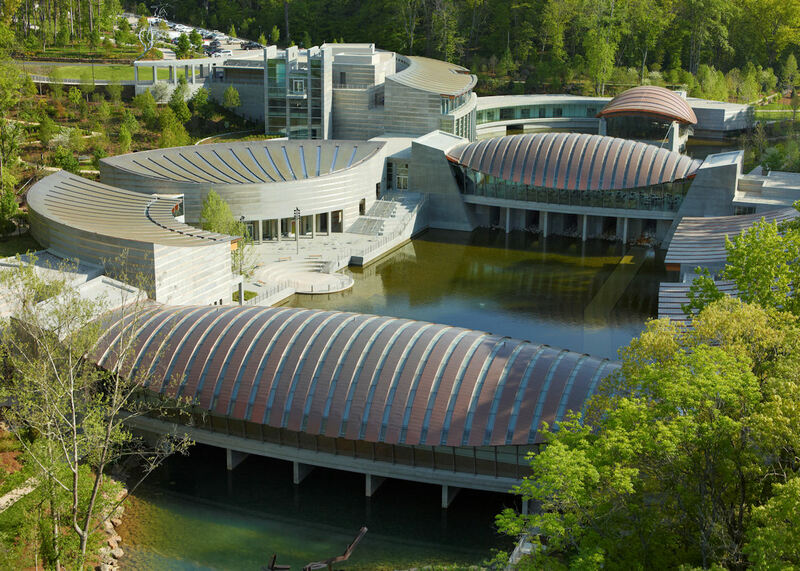 The doors of the Crystal Bridges Museum of American Art in Bentonville, Arkansas have only been open for 3 years, but already this locale has become known all over the world as a prominent showcase for artists such as Norman Rockwell, James Turrell, and Georgia O’Keeffe. 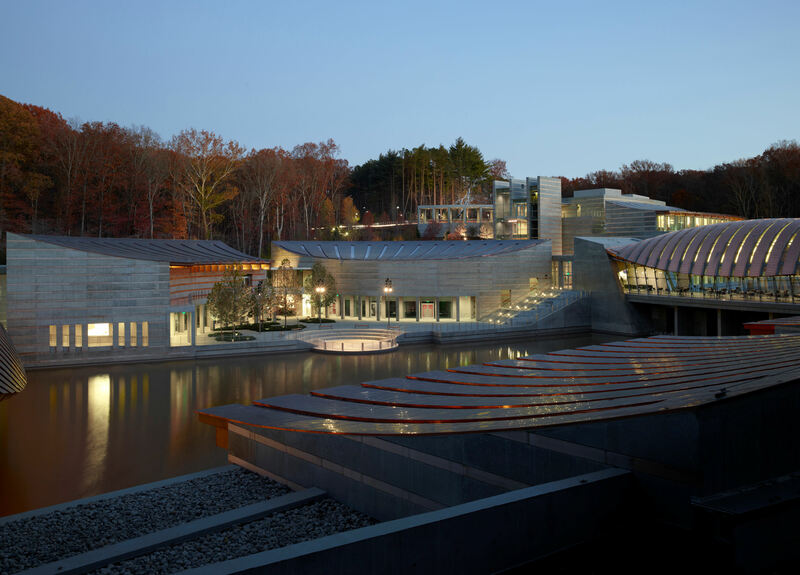 Everyone from the Huffington Post to the New York Times have written about this shiny and modern-looking glass-and-concrete series of 8 interlocking pavilions nestled in the woods. 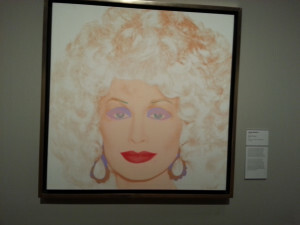 But when I had the chance to drop in for a quick visit recently, I was most excited to see their small Andy Warhol collection – and especially one piece that few people had ever viewed. I had read about the untitled “tempera, graphite, and ink on board” painting that Warhol created in 1949 as a college student for a “heads and hands” assignment. A fellow classmate at the School of Fine Arts at Carnegie Institute of Technology promptly bought it from him for less than $50 and kept it in her private collection, including over her bed after moving to Arkansas, until last year. Martha Sutherland, Warhol’s classmate, decided to donate the piece after 64 years because she was a huge fan of the local museum and because she wanted the public to be able to experience it for themselves. 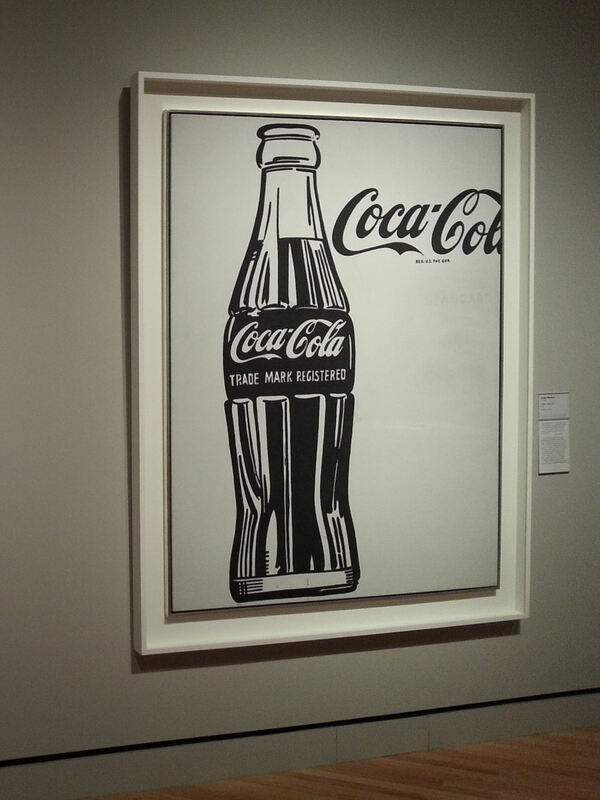 My first thought was that it definitely doesn’t match the celebrity and Pop Art pieces the artist became known for. And the hands are really big! But there’s also something really interesting about the idea and angle of looking down at 2 older people sleeping, and the woman’s realistic face is very expressive. 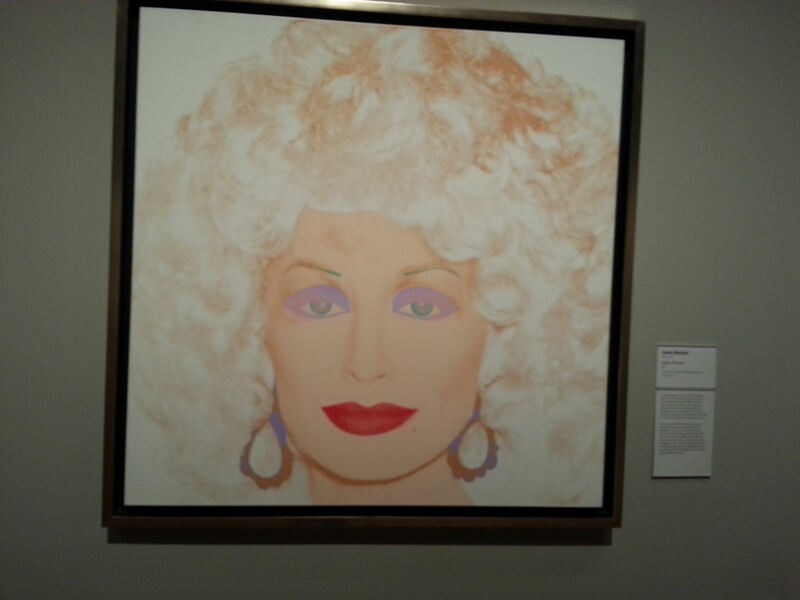 Of course, I was also happy to check out the museum’s other Warhol pieces, including a Coca-Cola bottle painted in 1962 and a Dolly Parton screen print on canvas, created in 1985. Now these looked more like what I was expecting! And yet, it’s the memory of being able to peer into the heart of a soon-to-be-legend that really sticks with me. Congratulations to Crystal Bridges for giving a spectacular home to such an interesting piece! Such a lovely place nestled in the Arkansas Hills. Definitely a tourist attraction as well as a must for locals. It is in a lovely location! It was not a nice day when I visited, so I’m looking forward to going back when sunny and really walking both the outside and the inside areas. In a lot of ways I agree the older piece is nothing like his new ones, but if you notice, he seems to emphasize certain things in his paintings. Sometimes it’s with emphasis, sometimes it is by de-emphasizing other features. Look at Dollar Parton’s eyes, for example. That’s what my eye goes to immediately. 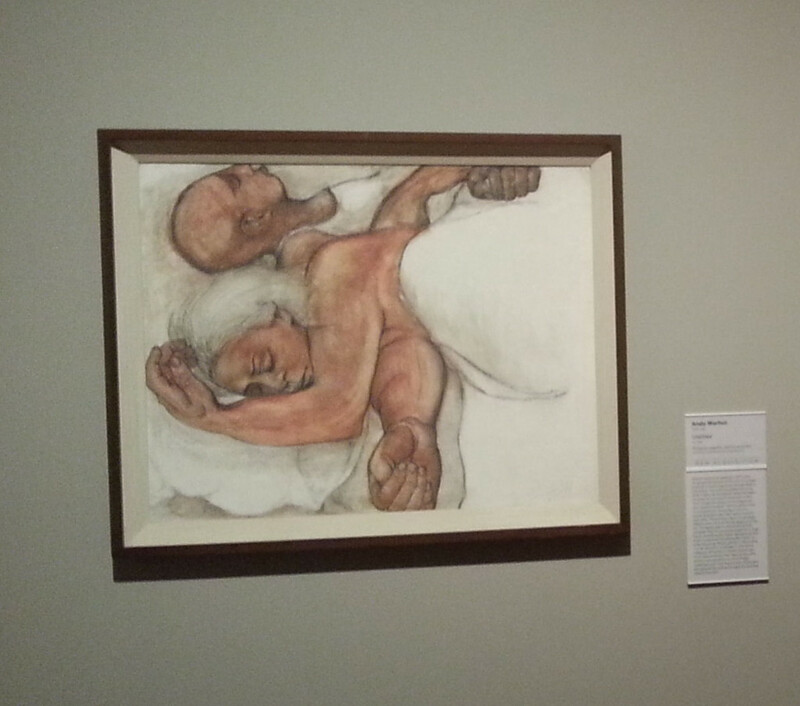 In the older painting, I didn’t even notice it was an older couple until you said it. What I did notice is the woman’s arms. I can’t tell if they are “flabby” or very muscular. Years of hard work? I don’t know. Great blog. Really great observations Jamie! It makes me want to study the paintings even more. Of course that’s how I classify “good art” – something pulls you in and you can’t just walk past quickly. This was quite interesting to see and read! Thanks so much. Will have to get by and see these in person. Thanks for commenting Margaret! It really is a world-class museum in a beautiful setting. Oh, and the food in its Lunch at Eleven restaurant is wonderful. Yum! 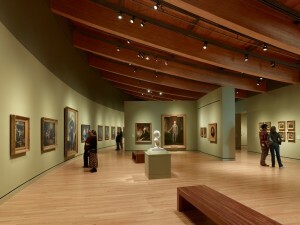 My husband and I visited Crystal Bridges last September. We spent part of two days there. It easily could have been three or four days. We spent most of our time with the 18th and 19th century paintings and a special exhibit featuring manuscripts of George Washington. We will have to come back one day and see this section. What an amazing museum; I would highly recommend it to anyone. Wow – sounds like you had a really interesting and enlightening time on your visit there. How fun! I was so sorry I had such a short time on my visit, and knew I could have stayed for hours and hours looking at the exhibits. And then several more hours walking around all the sites and gorgeous trails outside (when the weather is being cooperative). I’ll be going back soon! Very interesting! So glad to have found your blog. Looking forward to browsing around. Feel free to browse around all you want Lana! So glad to have you drop by. One of my favorite artists in one of my absolute favorite places. I’m so excited about the Frank Lloyd Wright house being reconstructed! Thanks for sharing this. You’re welcome! And I agree. 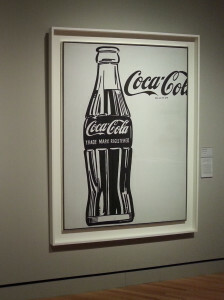 I love looking at various pieces in a Warhol exhibit, although I think “Untitled” might just be the most unique because of its back story. It really is resting in a fantastic home now! I’ll definitely let you know about my next visit Diane! I’m hoping it’ll be soon, and I promise to spend a lot more time wandering around both the inside AND outside areas. Thanks! Another must see for one of my trips to your area. Definitely add it to your list Sandy! I know you’d love it. This is definitely an exhibit I don’t want to miss. Thanks for blogging about it. You’re welcome! Thanks for stopping by, and come back and let us all know what you thought once you see the exhibit. Would love to hear what you think!